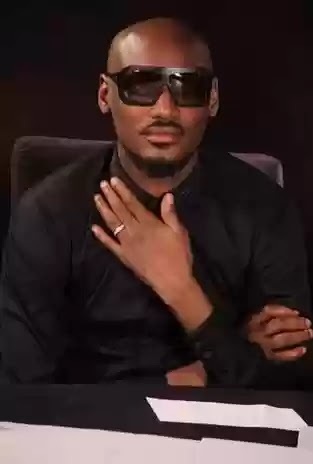 If you have ever seen Nigerian musician Tuface Idibia on your silver screen or heard him croon timeless melodies from any sound system or mobile device, then you must agree that he has what I call the x-factor. That special something that sets apart music legends from other musicians. No doubt about it, Nigerian musicians have become superstars, and Tubaba is at the forefront of the naija music stars. Over the last decade we have been privileged to be party to the ever evolving style, grace and aura of this multi-talented music star. Tuface news has become a constantly hot and trending topic. With a brand new album The ascension the music Veteran shows no signs of slowing down. He is proudly Nigerian, bluntly African and undoubtedly a global Icon, Tuface Idibia is one of the last of a breed; I'm talking about that unique breed of great African lyricists. Falling in with the likes of top African Music legends; Fela Onikulakpo Kuti,Brenda Fassie, African reggae king Lucky Dube, King sunny Ade, Sir Victor Uwaifo and a handful of others. Those Music gods who shape and beautify lyrics the way a master potter shapes and beauties clay. The finished products are usually musical classics that spin their African rhythm and magic in our minds and remain in our hearts and souls forever. Another buzzing Tuface news, or 2baba as he is fondly, is his recent tying of the knot with his long time partner; another facet of the star. He also recently turned 40 years. An incredible landmark for any human being, yet another facet of the ever transforming music star. Somehow, inspite of all these life altering developments, he has still managed to flow with the change. And he has done this with the ease of a diplomat; with great finesse and composure. His music is still hot and his popularity is soaring more than ever as the years go by,and inevitable changes occur. A new album titled "the ascension" is in the works and the anticipation of his countless fans can be felt from coast to coast. The multi-award winning artiste certainly has what it takes to soar even higher to more legendary heights. One thing is abundantly clear this Nigerian artiste is here to stay and his music is rocking Naija more than ever. Good luck with your New album "the Ascension." Tu−baba; Notin dey happen.